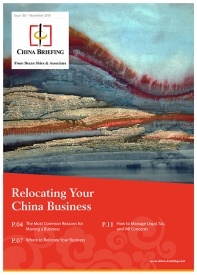 A joint venture strategy in China works differently for different businesses at different times. China Briefing looks at the experiences of Starbucks and McDonald’s to capture important lessons. Americans are feeling less optimistic about doing business in China. In its latest survey, the American Chamber of Commerce in China found that more than three-quarters of US-based companies expressed doubts about investing in China, while over 45 percent of those already in the country stated that their revenues were dropping. China’s economic growth has slowed down since 2012. Its gross domestic product rose only 6.7 percent in 2016, registering its slowest pace of expansion in two decades. Apart from sluggish growth, China’s challenging regulatory environment and fierce market competition makes doing business much harder for foreign companies in the country. Yet, two global fast-food giants – McDonald’s and Starbucks – continue to expand their operations in China. In this article, we discuss how the two companies have pursued and expanded their operations, and why China is still seen as a valuable market. Recently, on August 9, McDonald’s announced plans to open new restaurants in China to reach 4,500 within the next five years. McDonald’s announced the plan after finalizing a new joint venture (JV) with CITIC Ltd., CITIC Capital, and Carlyle Capital. The state-owned group will have full ownership of McDonald’s existing restaurants as well as additional new outlets for the next 20 years. The strategic partnership is aimed at securing better locations for McDonald’s expansion, according to media statements made by Zhang Yichen, McDonald’s China chairperson, and CEO of CITIC Capital. The group owns real estate that will help McDonald’s expand its footprint across China, especially in third and fourth tier cities. The group would like to increase the proportion of its outlets in these developing cities from 35 to 45 percent. Further, the JV will help bring local market knowledge and local resources to the management of McDonald’s in China, the absence of which had caused McDonald’s to fall behind other food brands such as KFC and Yum China in the last few years. For example, McDonald’s confirmed plans to introduce digitalized and personalized dining experiences, which are popular concepts for many Chinese consumers, following the expansion announcement. The JV in China is one part of a global effort by McDonald’s to shift to a lighter global footprint; the company would like a majority of its restaurants to operate as franchises. McDonald’s expects China to become its largest market outside of the US. By relinquishing control, the fast food giant hopes to regain its market share with local decision-making that is flexible to meet consumer demands. Starbucks too plans to increase its number of outlets in China to 5,000 by 2021. But contrary to McDonald’s strategy, Starbucks in July bought out its East China joint-partnership – formed with Uni-President Enterprises Corp and President Chain Store Corp – to take over full control of its market operations. However, Starbucks is already opening more than 500 outlets in China a year, suggesting that buyout was about more than expansion. Starbucks China CEO Belinda Wong told the media that the company viewed full ownership as an opportunity to improve customer experience, through “in-store third place experience and digital innovation”, and leverage their business infrastructure in a market that is their largest outside of the US. The US$1.3 billion buyout stands as Starbucks largest ever acquisition. After establishing a considerable foothold in China with the help of its JVs, Starbucks now intends to absorb the growing profits instead of sharing it with JV partners. Given the huge market share, the buyout is intended to counter it slowing sales in the US and establish China as its home market outside of the US. Much of what Starbucks and McDonald’s have achieved in China is the result of their partnership with local operators. What is important for businesses to learn is that pursuing a JV strategy in China works differently for different businesses at different times. Once the strategic goal is met, companies may alter their partnership as per the business contract, or end it. A successful JV can present valuable opportunities while reducing costs and risk, especially in times of slow or accelerated growth. Moreover, it can help companies gain access to new markets and distribution networks, along with new resources. Some of the ways a JV can help foreign companies establish a business in China are discussed below. Though most foreign companies remain focused on coastal cities, there is a huge market for Western products in other parts of China. A local partner with pre-existing market knowledge can help its partner find the most competitive location to target first. Foreign companies must keep in compliance with China’s fluid regulatory changes while maintaining specific business records. The process, at times, can be burdensome and costly for the newly established foreign companies; local partners can help with best practices to manage compliance. Intellectual Property rights infringement – intentional or unintentional – is a common concern among foreign companies entering China’s market for the first time. Safeguarding technology, a company’s unique business practice, or simply the business logo against IPR infringement requires a mix of legal, practical and technical measures that can prove to be a costly affair. JVs can help companies monitor the market for possible infringements and save the legal cost. Most companies entering China have limited local knowledge of Chinese business culture, and rarely have the language skills that are essential for dealing with local staff and Chinese clients on a regular basis. Establishing a JV can help companies get the best of talent to work for them at a competitive cost, and enhance its business network and local market knowledge.